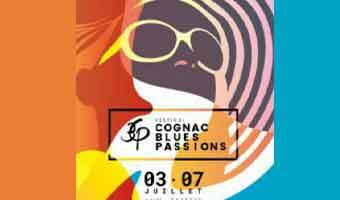 Cognac Blues Passions Festival in Cognac, France. 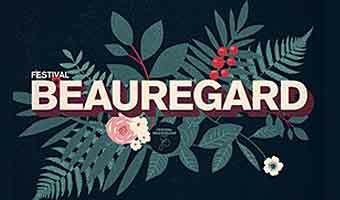 The 7-hectare gardens are a combination of the property of the hotel Otard de la Grange and the hotel Dupuy d’Angeac. They have been gorgeously-designed by the landscape architect Edouard André. Beautiful blossoms and the Blues – what more could you ask for? Cognac Blues Passions is considered an ecologically-sustainable festival so volunteers spend the whole festival cleaning up and making sure the gardens remain pristine. Waste is also sorted out in different bins while dry toilets are set up for your disposal. In case you’re wondering, eco-friendly toilets use wood chips instead of water and thus, also make the waste compostable and not so smelly. The glasses at the festival are tracked with deposits of 1 euro. You get your coin back any time you return the cup to the place that you purchased your drink at. The ‘brandy’ city of Cognac is situated on both sides of the Charente river and is a graceful, historic place with many old sites such as the Valois castle, the Saint-Jacques gateway and the Saint-Léger church. There’s also the Château of Cognac, home to the company Otard Cognacs since 1795. The Château is open to the public for visits and tastings. The Arts of Cognac museum, in the Perrin de Boussac mansion, chronicles the history of the liqueur and its production process. 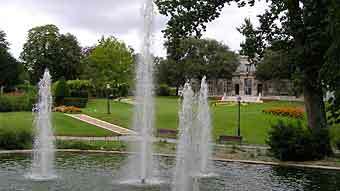 As Cognac is a small town it has not so many hotels and accommodation options. So if you do want to stay for a few nights it’s worth making your reservation early. 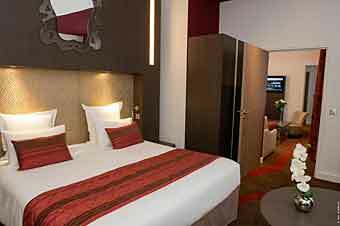 If you prefer to stay in luxury there are no no 5 star rated hotels only a great 4 star hotel set right in the centre of town. The four star rated Hotel Francois Premier has a real continental feel. It’s a 19th century building and has an indoor pool and a wellness centre. 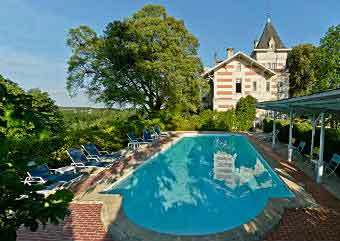 Located 2.5 km from Cognac centre, near the banks of the River Charente. All guest rooms offer views of the countryside and you can take advantage of of the sauna, spa, outdoor swimming pool and Turkish bath. There’s also hiking and cycling nearby and a few kilometres down the road is the Cognac Golf Club. Main Square Festival in Arras, France. This festival is a showcase of indie, rock, metal, pop, urban and electronic music. A festival made of creative line-ups, pop, rock, indie and electronic music. The venue is near the beautiful place called Hérouville-Saint-Clair. 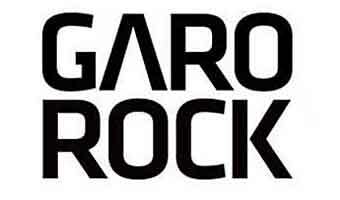 It is a non-profit, eco-friendly and independent music festival. Every year on the shores of the beautiful natural lakes of Belfort, in France. 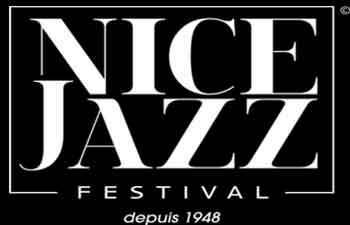 One of the most respected French pop and rock music festivals. The festival offers a variety of activities, and great artists. Provins, in the French Champagne region and just an hour by car from Paris, holds its Medieval Festival two days in June every year. 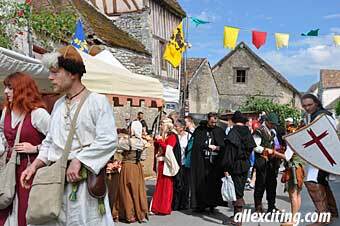 A wonderful celebration of all things from the Middle Ages, that takes over the whole town. 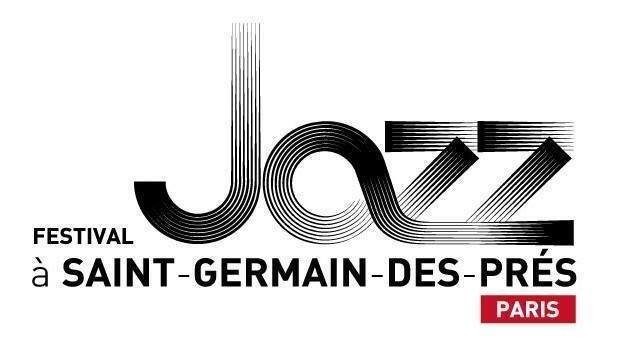 Viti Loire is held in the city of Tours in the beautiful Loire Valley, an area synonymous with fine wine, and promotes the wines of the region. 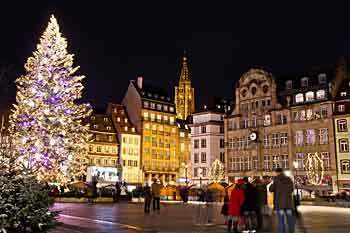 Strasbourg was voted for the best European Christmas market destination in 2013, and it is surely still one of the best in Europe.